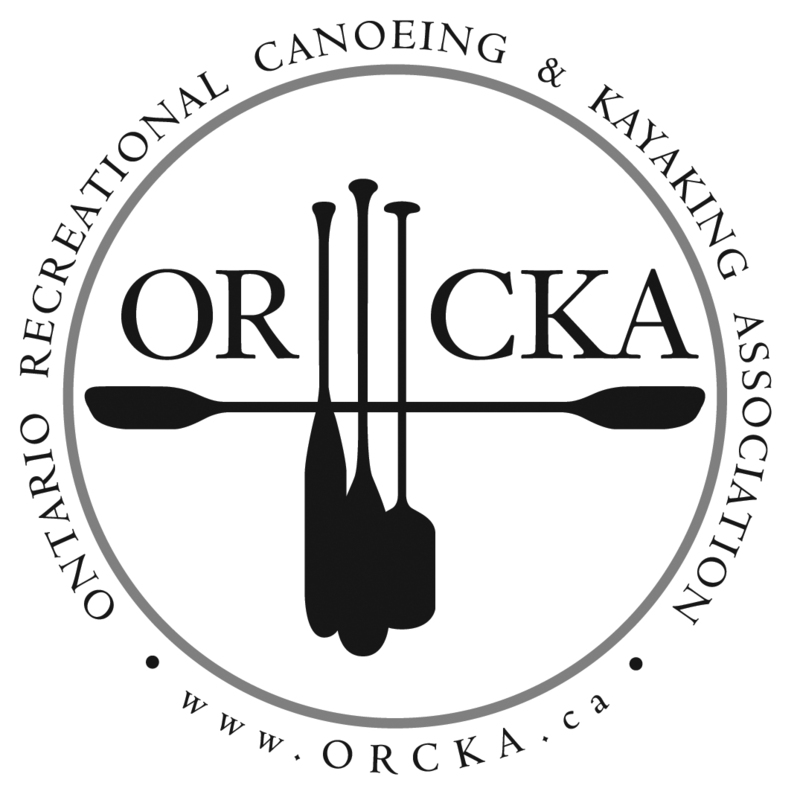 ORCKA's Program is the paddlesports skill progression and knowledge base used for paddling instruction and public education -- providing Ontarians with the tools they need to become safe, competent, and knowledgeable paddlers. From allowing first-time paddlers to have a safe and enjoyable experience, to cultivating the top-level skill required by responsible Instructors and Trip Leaders, the program is used throughout Ontario to introduce people to paddlesports and to get them to the level where they can safely enjoy recreational paddling ... and eventually help others to do the same. ORCKA Intructors working for ORCKA Organizational Members conduct ORCKA programming; they run skills courses and instructor courses, and so provide for certification, skill development, and a culture of safe and competent paddling practice. Canadian Style Paddling -- advanced flatwater paddling with a view toward efficiency and boat-control; advanced solo paddling, and a more in-depth base to complement the other canoeing disciplines. Canoe Tripping -- the skills required to safely and responsibly participate in, and eventually organize and lead wilderness canoe trips; Canoe Tripping Level 3 provides the provincially recognized certification in trip organization, leadership, risk management and emergency response. Moving Water -- the skills required to safely navigate moving water rivers; whitewater canoes with saddles are used, for a 'playboating' style approach to running a section of moving water. River Running -- the skills required to safely navigate moving water rivers; whitewater canoes with seats rather than saddles are used, for a 'tripping' style approach to running moving water with 'loaded boats' ... in the context of multi-day wilderness trips. Coastal Kayaking -- the skills required to safely navigate the open-water and exposed paddling conditions found in coastal environments and on Ontario's Great Lakes ... using kayaks with a sealed bulkhead and a closed cockpit, and where wind, sea state, and coastline conditions can increase in difficulty, requiring increasing paddler competence. Kayak Tripping -- the skills required to safely and responsibly participate in, and eventually organize and lead kayaking trips in coastal environments and on Ontario's Great Lakes. Moving Water -- the skills required to safely navigate moving water rivers. Voyageur Canoeing: provides for the skills particular to paddling in traditional Canadian Voyageur Canoes; large canoes paddled by more than 2 people, often in 'open water' situations and requiring teamwork, with distinct roles for the different paddlers and special safety, wilderness tripping, and day-tripping considerations. Stand Up Paddleboarding: ORCKA SUP courses are primarily for those paddleboarders whose interests focus on achieving a high level of skills in stand up paddling or those looking to become an instructor. Prerequisites: ORCKA Basic Canoeing Level 1, or equivalent certification, comparable skills, and experience (with permission of the course instructors). Prerequisites: ORCKA Basic Canoeing Level 2, or equivalent certification, comparable skills, and experience (with permission of the course instructors). Prerequisites: ORCKA Basic Canoeing Level 3, or equivalent certification, comparable skills, and experience (with permission of the course instructors). Prerequisites: ORCKA Basic Canoeing, or equivalent certification, comparable skills, and experience (with permission of the course instructors). Prerequisites: ORCKA Canadian Style Paddling Level 1, or equivalent certification, comparable skills, and experience (with permission of the course instructors). Prerequisites: ORCKA Moving Water Canoeing or River Running Level 1, or equivalent certification, comparable skills, and experience (with permission of the course instructors). Prerequisites: ORCKA Basic Canoeing and Canoe Tripping Level 1, or equivalent certification, comparable skills, and experience (with permission of the course instructors). Prerequisites: ORCKA River Running or Moving Water Canoeing Level 1, or equivalent certification, comparable skills, and experience (with permission of the course instructors). Prerequisites: ORCKA Flatwater Kayaking, or equivalent certification, comparable skills, and experience (with permission of the course instructors). Course Conditions and Kayak Type: Wind < 18km/h, Sea State < 0.5m waves; kayaks with a sealed bulkhead and a closed cockpit. Course Conditions and Kayak Type: Wind < 37km/h, Sea State -- 1m waves; kayaks with a sealed bulkhead and a closed cockpit. Prerequisites: ORCKA Voyageur Canoe Level 1 and ORCKA Basic Canoeing Level 3, or equivalent certification, comparable skills, and experience (with permission of the course instructors). Prerequisites: ORCKA Canadian Style Paddling Level 2, or equivalent certification, comparable skills, and experience (with permission of the course instructors). Prerequisites: ORCKA Moving Water Canoeing or River Running Level 2, or equivalent certification, comparable skills, and experience (with permission of the course instructors). Prerequisites: ORCKA River Running Moving Water Canoeing Level 2, or equivalent certification, comparable skills, and experience (with permission of the course instructors). Course Conditions and Kayak Type: Flatwater Kayaking and Coastal Kayaking Level 2 conditions; Flatwater and Coastal kayaks. Course Conditions and Kayak Type: Coastal Kayaking Level 2 conditions; Coastal kayaks. ORCKA organizes bridge courses for members to upgrade to an instructor certification, and a challenge process for members to obtain an instructor certification through 'testing' on instructor course material as an alternative to following the full instructor course. A bridge course follows the same course outline as its non-bridge counterpart, save the bridge course length will not be as long. An instructor course challenge is a 'testing-only' scenario providing for instructor certification -- it's available to members who are already ORCKA instructors [e.g., in another discipline], and who have considerable skills and teaching experience; it generally can be accomplished in a weekend. A Trip Leader challenge is a 'testing-only' scenario providing for Trip Leader certification -- it is available to paddlers who have considerable tripping and trip-leadership experience and generally can be accomplished in a weekend. ORCKA Organizational Members conduct ORCKA Programming by registering courses online and employing ORCKA Instructors. Course participants and instructors wear Canadian-approved personal flotation devices -- PFDs [the label states the PFD has been approved by Transport Canada, the Canadian Coast Guard, or Fisheries and Oceans Canada]. Course participants and instructors wear approved whitewater helmets [CE EN 1385 safety rating] for moving water programming. Organizational Members provide for proper Course Length, Instructor:Participant ratios, and Course Instructors' Qualifications. Organizational Members and Instructors keep up-to-date on the most recent version of the various ORCKA Program Manuals; ORCKA's membership is alerted of changes to ORCKA's Program Manuals prior to each paddling season, and the definitive version of the Program Manuals is found online. Organizational Members agree to abide by their Risk Management and Emergency Response Plan. Organizational Members and Instructors agree to abide by ORCKA's Trip Leader Standards when tripping is included as part of conducting ORCKA Program. ORCKA Organizational Members are required to maintain a responsible Risk Management and Emergency Response Plan to be used when conducting ORCKA programming, and which is to be integrated with wilderness first aid, whitewater rescue, national search and rescue secretariat standards, federal law, and ORCKA's Program Administration Requirements. ORCKA Trip Leaders are required to sign ORCKA's Risk Management and Emergency Response Agreement as part of the application for ORCKA's Trip Leader Insurance. -- leadership training, group dynamics management, etc. -- ratios will change depending on the needs of a group and the programming conducted. -- record of participant experience, swimming ability, preparedness, etc. -- clothing and footwear, tripping gear, participant checklist, etc. -- swimming protocol; buddy system, guarding, swim tests, etc. -- nutrition and trip menu, hydration, food preservation and preparation, water purification, wildlife management, etc. ORCKA Organizational Members and Instructors agree to abide by the following standards when tripping is included as part of conducting ORCKA Program.